Sarabi nuzzles her newborn baby who is just a few hours old at the Memphis Zoo on Friday. The second new baby in two months was born to the zoo Friday morning around 7am. Until about three years ago, the zoo had gone 15 years without a successful birth. The babies are born while the mother is standing, they then drop to the ground; the gestation is about 14 mos. 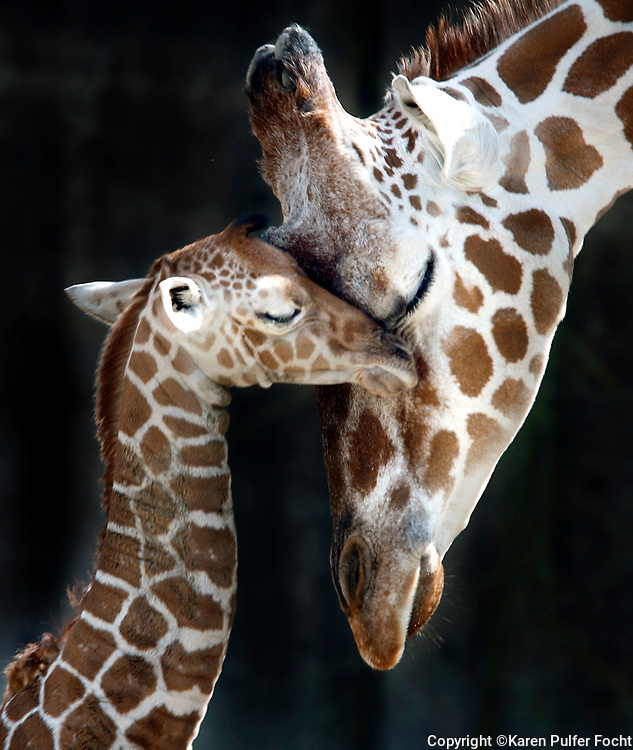 Mother baby giraffe zoo Memphis Tennessee newborn animal brown love tender tourism travel.